After more than a year and a half of discussion and false starts, the first phase of a highly anticipated multi-phase external procurement audit of Baltimore County Public Schools is finally complete. The upshot: Baltimore County Public Schools’ leadership says auditors have delivered a clean bill of health. But over half of the observations made by auditors of the system’s procurement practices had more to do with what auditors could not find, versus what they could. The other half: unsound spending, overspending and unsubstantiated increases in spending found while auditors tested a sampling of 18 contracts, 18 employees and 19 board members. Lacking are particular travel details for key employees targeted in the audit, including those for interim Superintendent Verletta White (page 225), when she worked as a consultant for the Education Research and Development Institute (ERDI) from 2013 to 2017. 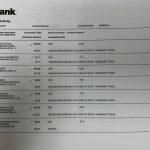 The identity of mystery companions whose travel with the system’s former superintendent was buried on the former administrator’s school credit card statements, The Baltimore Post found last year through records obtained via a Maryland Public Information Act request. No mention of travel reimbursements to employees who were compensated for side work unrelated to the school system. Lack of explanation of travel costs captured via other means of payment, not associated with particular employees. The absence of records needed to test any conflicts of interest for two key years – 2012 to 2013 – during a time when employees were under a laissez faire travel attitude and spending spree. The records – financial disclosure statements purged quietly last year – were destroyed amidst discussions about the scope and time frame of the audit. Auditors noted the missing documents in the report (pages 12-13), which limited the scope and depth of the testing the firm was tasked with in Phase One, which aimed to look at the financial documents for Years 2012 through 2017. The first of what was designed to be a multi-phased audit revealed the system’s weaknesses in two main areas: document retention and spending. But for some, whether or not the audit is clean is open to interpretation. The 258 page report can be found here. BCPS personnel were found not to be reviewing/documenting amounts remaining on open purchase orders prior to incurring more costs. There was no requirement found for BCPS personnel to document that they have read and are adhering to polices, rules and procedures. Document of pre-proposal activities – such as documentation of vendor bids and request for proposals – were not consistently maintained. Documents of compliance with the rules, policies and procedures governing procurement of curriculum were not consistently maintained. 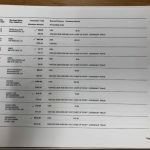 There was very little pre-procurement documentation maintained for curriculum purchases, including those for the Department of Research, Accountability and Assessment. There was very little documentation for the Data Governance Committee. As a result, IT data security and student privacy associated with online curriculum might be at risk. Over half of the transactions tested revealed credit card statements did not include all supportive documentation, such as all receipts. The auditor identified numerous instances where purchase orders were modified although rationale for the modifications were not maintained or documented. Some employees failed to obtain overnight travel approval. Transaction Splitting – A non-managerial cardholder paying for a superior asked vendor, The SUPES Academy, to split a $3,000 conference fee over three transactions in order to avoid exceeding the system’s transactional authority limit. Use of “piggybacked” contracting methods were found not to be supported consistently with documentation to justify not asking vendors to bid on jobs. When a national audit firm, UHY Advisors, was hired in May last year, it was a reaction to the fall of former Baltimore County schools leader, Superintendent S. Dallas Dance, PhD. In September 2017, four days after news surfaced that Dance had been under criminal investigation prior to resigning from the system months before, interim Superintendent Verletta White announced her desire for a review of the system’s procurement practices. Over one month later, when the New York Times and Baltimore Sun published articles questioning travel and vendor relationships, calls for the audit – which had not yet begun – intensified. 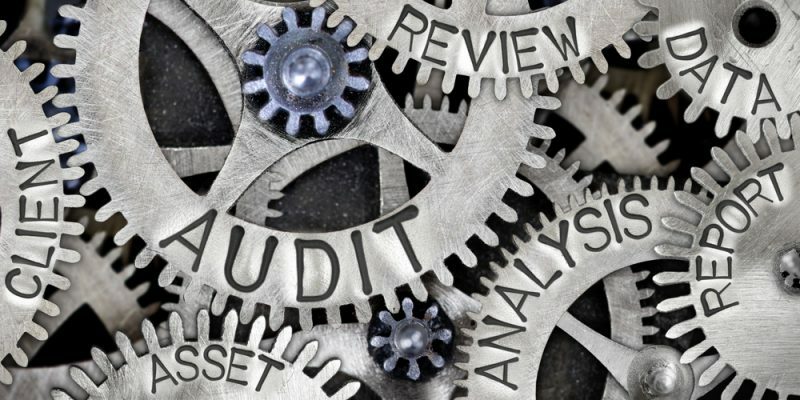 Disagreement about the scope, time frame and whether or not the school system would control its own audit ensued, with both local and state lawmakers weighing in publicly – during an election year – on how and if an audit should be performed. After months of tug-o-war over the audit’s scope, UHY was hired in May 2018 for a 13-month $413,550 contract to complete the first phase of an audit intended to occur in multiple stages. Once board members settled on a scope and time frame, auditors were asked to focus on procurement activities that included 19 – later modified to 18 – contracts that would include examination of the procurement policies, processes and procedures used by the school system in its solicitation of selected vendor contracts and contract execution. Additionally, auditors were asked to focus on travel expenditures, reimbursements, conference fees and professional memberships for 18 employees and several board members. And, starting in 2012, busy he was. Hitting the ground running, the brand new superintendent consulted for other school systems and organizations for years starting in 2012, earning at least $227,000 in extra income over his five year tenure, of which he failed to disclose roughly $147,000 on his financial disclosure statements. The omission led to four counts of perjury. He served four months in jail last year and lost his superintendent credentials in Maryland and Virginia. But when Dance flew across the country, he didn’t always fly alone. 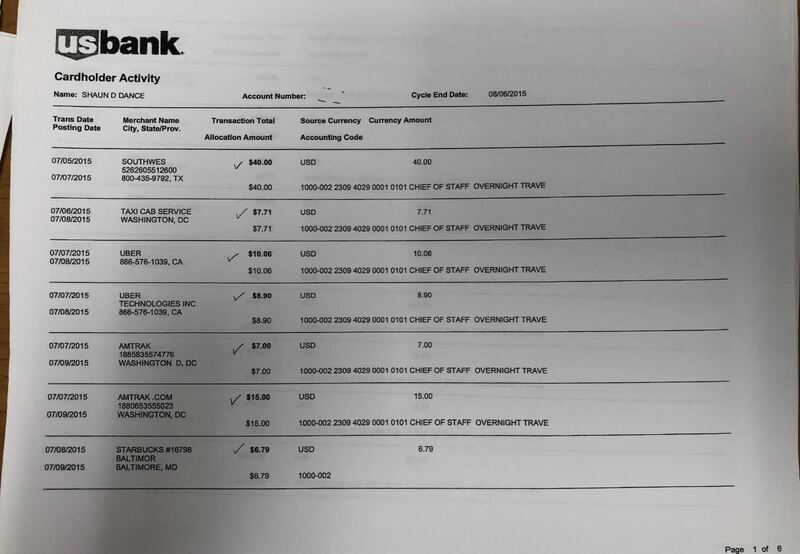 In fact, payment records show he and other employees often flew in packs. 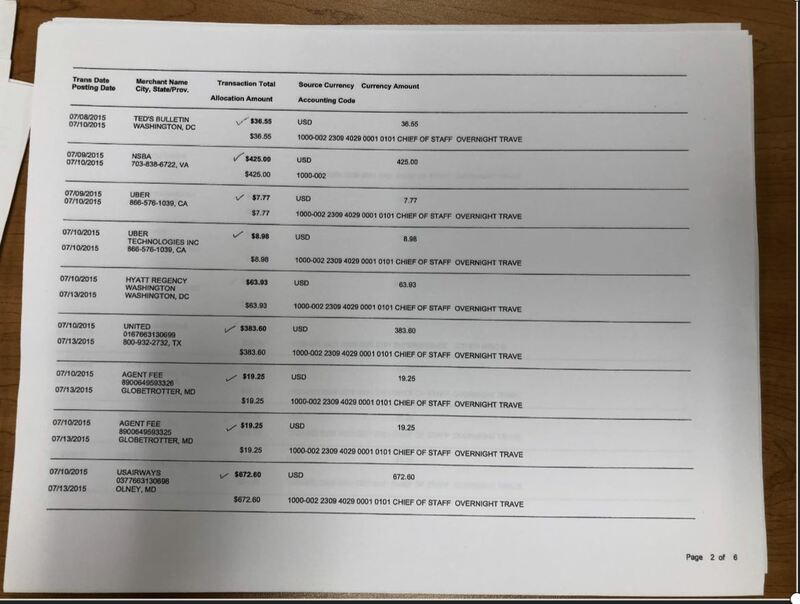 Additionally, out of the sampling of 16 employees and 15 board members included in the audit’s log of travel (pages 250-255), over 200 out-of-state trips, presumably paid for by the school system, were noted in the report. However, a few key locations were missing for trips Dance, White and others took for side work. Some of the events missing include travel for paid side-work for which Dance asked the school system to reimburse him. 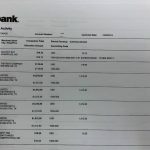 For White, five or more trips taken for work as a paid consultant for the Education Research and Development Institute (ERDI) were also missing from the log. It is unclear why White’s trips to ERDI conferences were omitted from the auditor’s final report. White has also not disclosed with which ERDI vendors she met as a consultant. In 2017, after The New York Times, and later The Baltimore Sun, exposed the side job, White amended her financial disclosure statements to include the paid side work. Although cited with ethics violations for the omission on her statements, unlike Dance, White has not been accused of any crime for the omission. The scale of White’s omissions also does not compare to those of the previous superintendent. State Prosecutor Emmet Davitt made a distinction between Dance’s omissions on his disclosure forms versus White’s, during Dance’s sentencing. But, starting in 2012, conferences, panel discussions, keynote speeches, consulting gigs, events and parties in New York, Florida, Denver and even at a vendor’s home were the norm for some system employees, according to videos, media reports, records obtained through public record requests, and sources intimately familiar with the events. Before news of SUPES tempered some of the initial tax-dollar spend-a-thon, sources described Dance’s first few years as a free-for-all at Baltimore County’s expense. But UHY was asked to only focus on a limited amount of employees and board members for travel. Off the bat, the limited scope negated an entire department whose focus for years has been on promoting the school system’s laptop-for-every-student technology program, STAT, for Students and Teachers Accessing Tomorrow. It is a glaring omission for those familiar with the very extensive taxpayer-funded ed tech travel witnessed between 2012 and 2017. Other departments – such as the Department of Innovative Learning, as well as the system’s IT staff – were not included in the audit’s scope concerning travel. Both departments are chock full of employees who have traveled for years promoting STAT alongside – and for – vendor-backed organizations. But the departments were not included in Phase One of the audit which was designed to look into the travel expenses, procurement activities and financial disclosure statements for a limited amount of employees. Dance’s travel on the schools system’s dime first caught the public’s attention at the end of 2013, when a Chicago-based reporter, Sarah Karp, dropped a bomb, reporting on a suspicious $20 million Chicago Public Schools contract with ties to Baltimore County Public Schools and education consulting firm, The SUPES Academy. Dance brought an $875,000 contract to the school district four months after having been hired to work as a consultant for the company. He even had an employee fired to get the contract through, according to prosecutors’ charging documents. SUPES, whose professional development presentations included a mish-mash of PowerPoint slides full of feel-good quotes, hired district leaders from across the country to mentor, coach and teach aspiring leaders in support of their rise to principals, assistant principals or superintendents. At least two Baltimore County employees – not counting another former Baltimore County superintendent, Joe Hairston, PhD – went to work for the vendor, coaching and mentoring Chicago school principals in 2013. But even after The Baltimore Post questioned the omission of the SUPES job on Human Resource Director John Mayo’s 2013 financial disclosure statements, the system’s law office and Mayo did not answer. Instead, the law office destroyed his financial disclosure records, too. So when the audit firm was directed by previous board leadership to commence the first phase of a multi-phase procurement audit designed to test 18 contracts and to access procurement activities, travel, conference fees, professional memberships, professional dues and other charges from the Office of the Superintendent, it was for good reason. But reserved for Phase Two would be a deeper dive into up to 180 contracts related to the education technology world, which potentially would include vendors that enticed Baltimore County’s district leaders with numerous awards and nationwide recognition. While the school system is relieved by what it says is a lack of a scandal after enduring Dance’s fall from his rapid rise to the sun – due-in-part to his penchant for the moon (lighting) – others wonder if auditors were allowed to go far enough. If UHY had had access to at least two of the destroyed records and supportive documents, which The Baltimore Post retained, the firm would have known of Mayo’s SUPES omission and a job the executive director of innovative learning who leads the STAT program, Ryan Imbriale, had with school system vendor, Casenex, LLC. 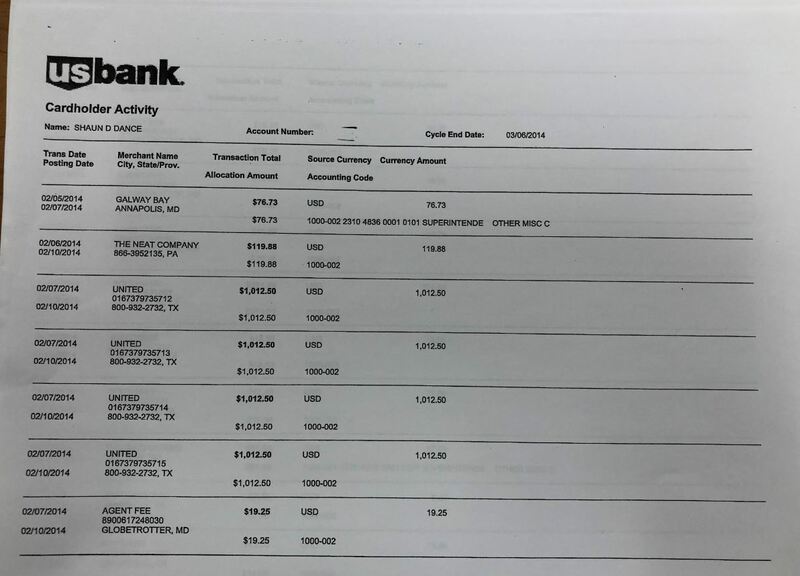 Records show the system has paid the professional development vendor, Casenex, over $500,000 since 2010. And although the SUPES contract was for $875,000, the system paid out $525,000 to train no more than 30 employees. The Baltimore Post was unable to obtain 2012 and 2013 financial records for other key employees who traveled with Dance during those years because those documents were destroyed around the time they were requested. Eleven of the 18 employees the auditor reviewed, involved financial disclosure statements also requested by The Baltimore Post last year. 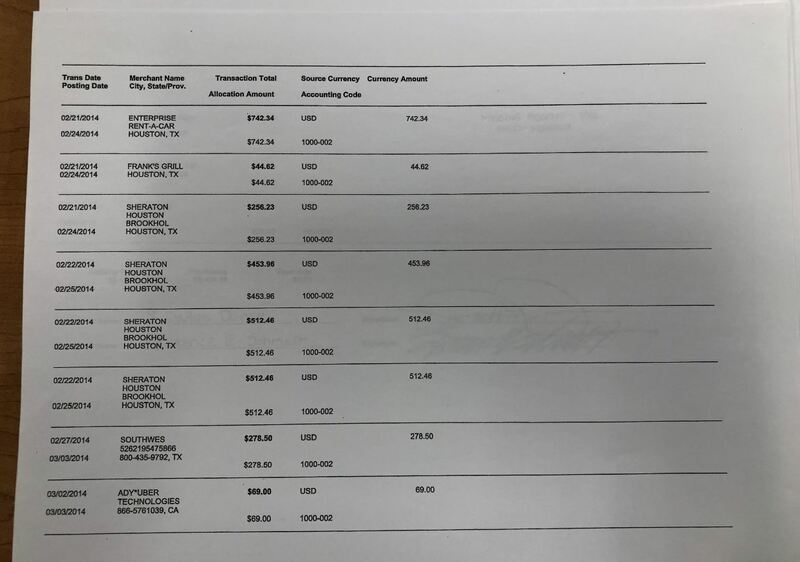 Also busy were some other district executives whose financial disclosure statements vanished last year, when the system’s law office shredded 2,600 of them on two singular days, records provided by the school system show. The documents were destroyed as allowed by a 4-year retention policy; however, it was the first time the system chose to do so in its entire recorded 21-year history of maintaining the records. If Baltimore County schools’ law office records are accurate, the first day of the purge – April 27 – on which roughly 2,400 of the records were destroyed, landed 25 days before the audit firm contracted with Baltimore County schools to perform consulting services over procurement activities, specified contracts, travel expenses, and other charges for the period of January 1, 2012 through December 31, 2017. The remaining 200 records were destroyed on August 1, after the scope had been decided. The financial disclosure statements destroyed included years 2012 and 2013. The purge also occurred one day before Dance surrendered to a Virginia jail to serve time for lying on his own 2012, 2013 and 2015 financial disclosure statements. Unlike all others, Dance’s 2012 and 2013 statements were not destroyed in the purge. Between February and August 2018, The Baltimore Post requested the records for dozens of employees. When anomalies occurred such that certain dates were available for some employees, but not others, a log which documented the destruction of documents was requested. That log revealed that nearly 2,600 financial disclosure statements had been destroyed during a time in which The Post made requests, and right before the timeframe of an audit had been decided less than one month later. The Baltimore Sun reported that the school system’s general counsel, Margaret-Ann Howie, called for the purge, although officials will not answer any questions posed by The Baltimore Post reporter who discovered it after a monthslong investigation into dozens of financial disclosure statements resulted in several hit-and-miss responsive records to requests. But of the financial disclosure statements spared from the purge, two employees who amended their forms disclosed unpaid advisory positions with the National Council for Digital Convergence (NCDC), an organization whose founding partner also founded and sponsors school system vendor and professional development education technology consultants, Modern Teacher. The married tech team: executive Director Ryan Imbriale and Jeanne Imbriale, director of Enterprise Applications. 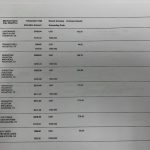 Records obtained via a Maryland Public Information Act request show the school system contracted with the company in 2013. To date, payments exceed $1 million. And according to Ms. Imbriale’s bio, she helped found the NCDC. A financial disclosure document also states she was paid to write for vendor, Modern Teacher, directly. Casenex and the Modern Teacher contracts are precisely what a deeper dive would uncover. Why should Baltimore County care? Because the point of the audit was to ensure that procurement practices are free from conflict. Also missing from the audit: Any mention of interim Superintendent Verletta White’s five years of travel as a consultant for the Education Research and Development Institute (ERDI) as well as a 2016 trip to San Diego, when five district employees – including Mr. Imbriale and Mr. Dance – spoke in front of an audience at a Global Silicon Valley event about the system’s STAT program. Video can be viewed here. Starting in 2013, White and Dance began consulting for ERDI, whose clients pay thousands of dollars in membership fees for access to education leaders that ERDI, in turn, pays. But while the for-profit company says it provides the opportunity for education leaders to provide valuable feedback to their clients, the company’s critics say the meetings allow vendors to pitch to superintendents in exchange for a consulting fee paid by ERDI to school leaders who able to make purchasing decisions and recommendations for their respective school districts. In one instance, The Baltimore Post found that at least one Baltimore County schools vendor had that intention when its marketing team specifically selected and met with Dance at an ERDI conference in 2016. Some have blamed a widespread lack of trust of the school system on its fallen leader, as being a “Ghost of Dallas Dance.” Others are worried about the closeted skeletons he left behind when he committed Baltimore County Public Schools to hundreds of millions in forever costs for a digital curriculum transformation that shot the school system into the national limelight before it even had a chance to get off the ground at its headquarters at Greenwood. The tech initiative triggered an era where executive directors flew across the country to rub elbows, and consult with or speak for ed tech vendors, much at the system’s expense, where they spoke of personalized learning, bean bag chairs and relegating teachers to computer lab observers and “guides on the side” while students were to take “ownership of their own learning” (on a laptop). While the audit was designed to be handled in stages, Phase One did not target some of the highest valued software contracts that have caused the most concern during Baltimore County Public Schools’ transformation into digital learning via a laptop for every student program, called STAT, for Students and Teachers Accessing Tomorrow. This shift in direction has cost or committed taxpayers a staggering $300 million thus far in hardware costs alone. And it commits the school system to several hundred million dollars in the coming years to maintain and refresh a stockpile of roughly 130,000 laptops and associated software licenses for a program school administrators say was not designed to improve academic achievement. Tens of millions more is spent on software and licensing fees. A deeper look into these and other contracts was saved for Phase Two and beyond, should board members decide to continue the audit as planned. But despite the multi-stage audit proposed by previous school board leadership who were replaced in December with a hybrid elected school board, some board members are already showing signs that diving into a second more comprehensive phase is off the table, even before the first phase was released to the public on Wednesday. Reagan, whose company is obviously a school system vendor, had just spent the last 10 months working on the audit concerning employees and vendor relationships. As a result, he declined to go on record recommending another contract for himself with the school system, which he said was not his place to do. “I don’t think it’s appropriate for me as a vendor to recommend one way or another,” he answered Jose a third time. But Reagan’s non-response has been interpreted by some to mean a deeper look is not recommended – enthusiastically or otherwise. In the end, it’s up to board members to decide for themselves whether Phase Two of a comprehensive procurement audit is warranted. It is the interpretation of the Phase One results which hinge on the perception for such a need. So far, it seems some school system leadership are posturing with the repeated meme that the result of the audit was a “clean bill of health”. Others disagree, instead seeing the first audit results as just the tip of the iceberg.